Built with a low to the ground feel, the White and Red is designed to maximize acceleration and control deceleration while providing lightweight comfort and stability during play on clay courts. Endofit inner sleeve construction provides an intuitive performance fit from the first wear. Upper: Lightweight synthetic leather and breathable mesh. 3-D injected TPU forefoot piece increases stability and responsiveness. Midsole: Low profile DST foam with R-dst heel and forefoot material for improved cushioning, rebound, and faster response. 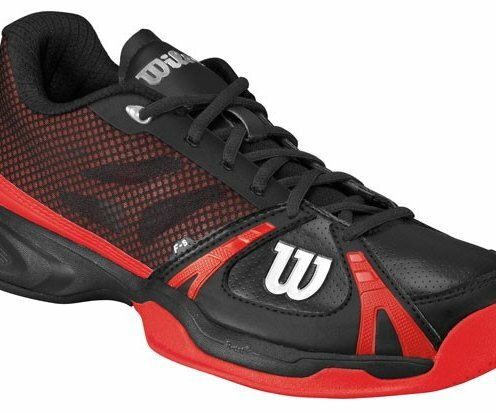 Outsole: Upgraded All Court Duralast outsole provides improved durability and traction. Outrigger geometry increases stability. Nike Grind is part of Nike's Reuse-A-Shoe program that was started in 1993. The purpose of the program is to eliminate waste and close the loop on Nike's product lifecycle by collecting post-consumer, non-metal-containing athletic shoes of any brand, including Nike shoes that are returned due to material or workmanship defects.